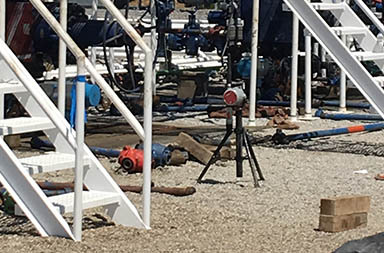 We are an On-Site Gas Detection / Monitoring service provider which provides temporary wireless LEL and Toxic gas area monitoring, alarming and notification on well sites throughout drilling, drill out, and flow back phases serving the Utica and Marcellus Shale Regions. Controller mounted at PASTEK mobile trailer. Wireless LEL & Toxic Gas Monitors deployed at customer recommended locations. Remote Monitoring and Alarm System Communications located in PASTEK mobile trailer. 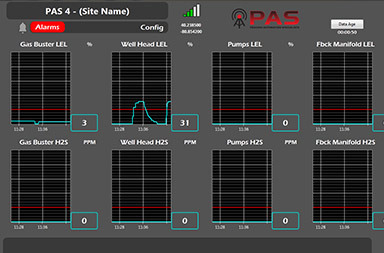 I have used PAS on several of my completions sites with their wireless on site gas detection package. I must say their equipment is the most dependable and accurate in the industry. Their real time monitoring, and alarming system is amazing. Not to mention the attention to detail, and customer service from Scott and his team is unmatched. I recommend PAS to anyone in the industry needing on site gas detection/monitoring. Scott Veno and his team at PAS do an exceptional job. I enjoy working with Scott and know that I can always count on his team to provide quality service. PAS is the top of the class company. From the time they set up the monitoring systems you will know they are there to assist you in anyway. Scott and his team will set your site up, contact you if there is any issues, and stay in contact with you throughout the job. They know the industry and set the bar. They are the best! 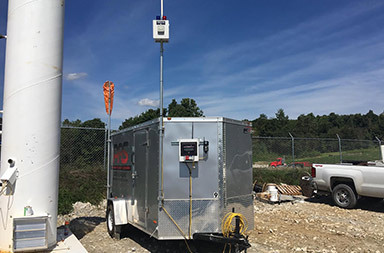 On-Site Gas Detection / Monitoring service provider which provides temporary wireless LEL and Toxic gas area monitoring, alarming and notification on well sites throughout drilling, drill out, and flow back phases serving the Utica and Marcellus Shale Regions.